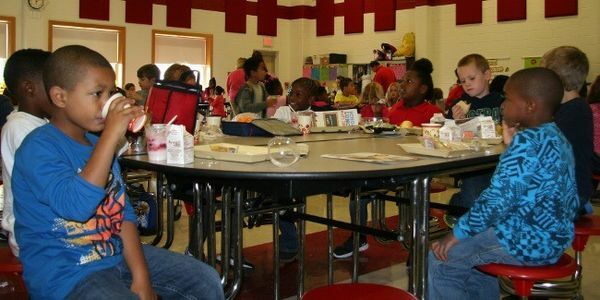 Arkansas State Sen. Alan Clark wants to encourage schools to improve their students' reading abilities — by threatening to cut funding for meals provided to students. Not only is this cruel, it's also senseless. Various studies over the past 30 years have shown that when students have access to nutrition, it improves their academic performance, curbs antisocial behavior and reduces the likelihood of repeating grades. Surely if feeding children isn't incentive enough, this should be. Add your name here to call on Clark to withdraw his draconian school meal bill and stand with students who rely on meals provided by their schools so that they can do the best that they can! This kind of thinking and lawmaking only perpetuates inequality. We know that supporting young children in everyway we can yields better outcomes for our society, regardless of their parent's financial situation. But also, what kind of mean-spirited lawmakers think that starving children for poor performance is ethical? This is a disgusting idea and we need to stop it at all costs. If they really wanted to improve academic performance, they would not take away lunch. In fact, they would add on breakfast as well. Kids don't learn when they are hungry, end of story.